It’s that time of year again. School’s started, football seems to be everywhere, it’s getting cooler at night and the days are getting shorter. Before the weather turns, there are things that you’ll need to do in order to get your home prepared for the colder fall and winter months. Preparing now can prevent costly damage later on. 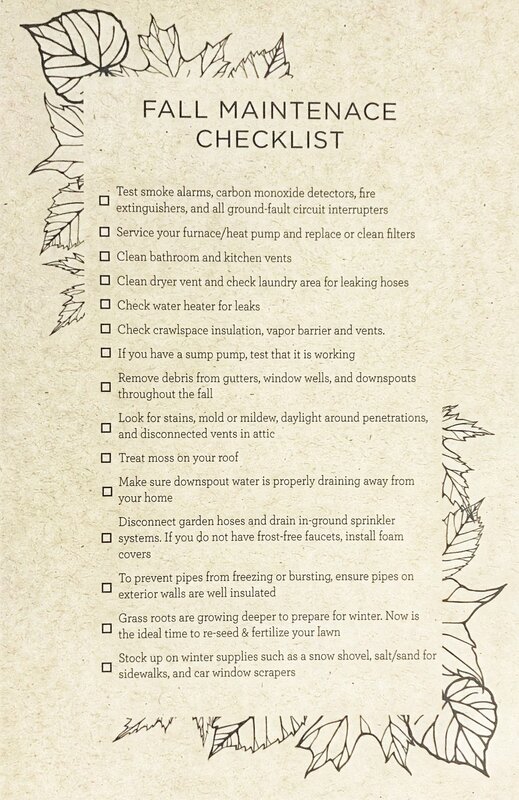 This list contains helpful Fall preventative maintenance that every homeowner should follow. If you have any questions about the current real estate market, are considering selling your home, or need referrals of service providers, just give me a call!